8K:VR is a brand-new VR experience system which was developed in Japan using state the state of the art audio-visual technology known as 8K Super Hi-Vision. This unique VR technology allows large audiences to experience and be blown away by VR content without the use of a head mounted display. Update 2016/03/08 8K:VR Theater web site open. SXSW (South By Southwest) is the world's largest creative business festival and is held every March in Austin, Texas. Media professionals and creators from all around the world attend the festival. It began in 1987 with a focus on music, and since has expanded to include film and interactive content, growing bigger and bigger each year. This March, NHK Enterprises and NHK Media Technology will take part in the new "VR/AR Track" program, providing an 8K:VR Theater experience. 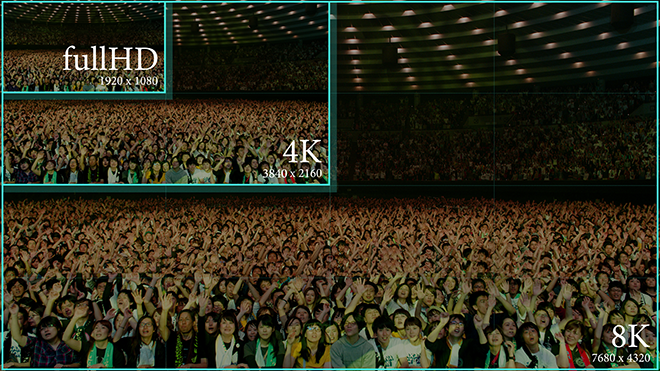 The event's 8K:VR content consists of a performance by the Japanese rock band Sakanaction of their song "Aoi", which was originally screened in Tokyo's HIKARIE Hall in November of 2015. 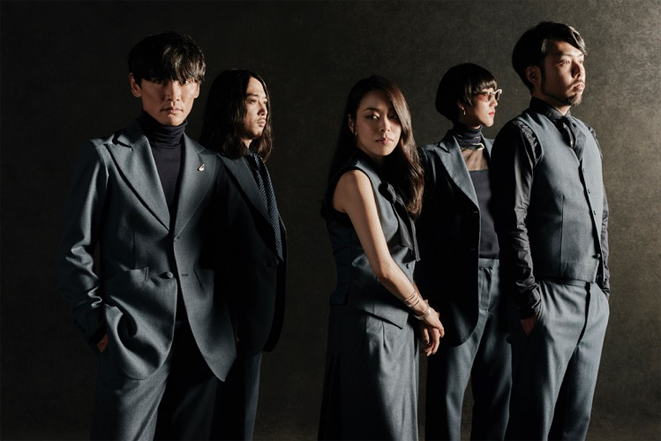 Sakanaction, formed in 2005 in Sapporo (north area of Japan), is a rock band having its very own style by mixing various factor of music from typical rock band sounds to club music, all the while maintaining nostalgic folky melodies and deep, resonating lyrics. They are one of the top live bands in the Japanese music scene, performing as the headliner at many music festivals which a lot of Japanese and foreign artists show up. The band’s live performance is drawing extremely high attention from the music scene, and tickets to their shows are constantly sold out. They always introduce the latest technology at the time, and the experience of their live act gives us the feeling as if watching a movie with high completeness. The band has composed a theme song and screen music of Bakuman, a film based on a Japanese famous manga series, which was released in October 2015. In March 2016, the band also produced a song for a short film of miumiu Women's Tales #11 "SEED", directed by Naomi Kawase. They are now on SAKANAQUARIUM2015-2016 "NF Records launch tour", attracting more than 150,000 audiences in total. Sakanaction is one of Japan’s most accomplished bands. The world’s first 8K:VR theater. There is no better group to demonstrate what can be experienced through this brand-new technology. With the cutting-edge digital media technology 8K3D Video & 22.2ch Stereophonic Sound developed in Japan, we have created the world’s first 8K:VR theater to push the boundaries of digital media. 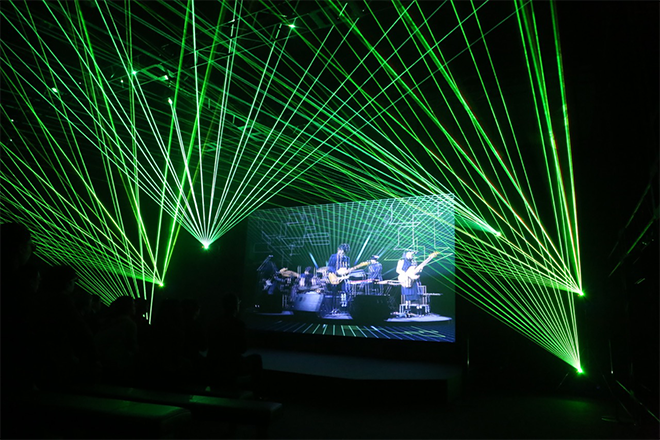 This futuristic visual space has 16 times the visual fidelity of HD and uses 3D technology to create an unbelievably realistic experience that audiences have never experienced before.Providing the performance for this experience is the Japanese rock band Sakanaction. 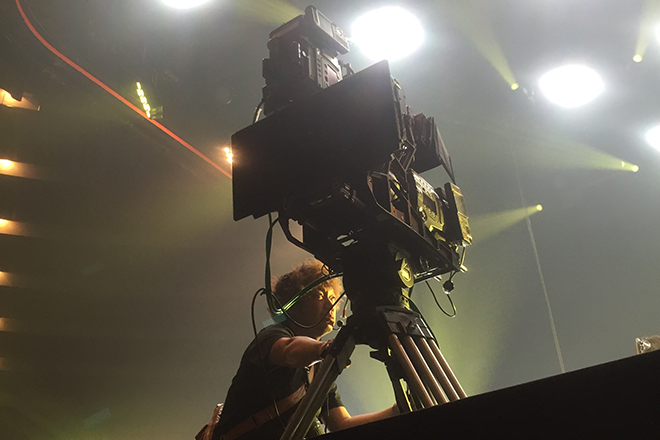 In order to recreate Sakanaction’s hit song “Aoi” with the 22.2ch speaker system, NHK Media Technology staff collaborated with the internationally active sound artist evala. They successfully created a rich musical environment. In addition to the astounding 3D visuals and powerful stereophonic sound, we have created a futuristic media entertainment environment where audiences are unable to differentiate between the virtual world and reality. Although this site may have links to external sites, please be aware that the content and details regarding the link destinations may not be the responsibility of NHK Enterprises. copyright © 2017 NHK ENTERPRISES, INC. All rights reserved. Whereas current high definition TVs can produce images of 2 million pixels, 8K video can produce images with 33 million pixels, quadrupling the horizontal and vertical capabilities of HD. It is the ultimate visual medium with visual fidelity so high that the naked human eye has difficulty differentiating it from real life. The current system projects two 8K visuals, one for each eye, creating an extremely high quality visual experience. This system uses 24 speakers, placed around the audience, vertically and horizontally, from the front to the back, to create a completely enthralling audio experience. Each speaker can be controlled individually to increase the realism of the sound or produce a musical experience unlike anyone has ever experienced before.